Comic Reviews: Iron Fist and X-O Manowar! 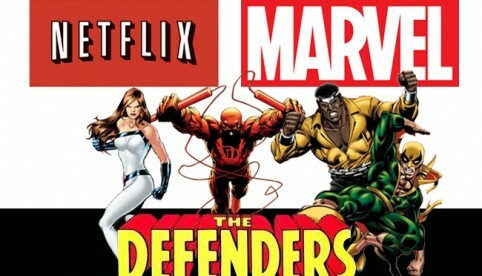 Since he’s now starring in his own Netflix show (read my review here), it’s only fitting that Iron Fist gets a brand new series to go along with it. From Ed Brisson and Mike Perkins, Iron Fist may look a little different from the show people have been binging, but it serves as a good gateway into Danny Rand’s comic book world for those who want to check it out. Comic Reviews: Avengers Standoff: Welcome to Pleasant Hill and Power Man and Iron Fist! I’ll be honest. I was planning on skipping the upcoming “Avengers: Standoff” event. Call it being uninterested, not thinking that this was a “major event”, or plain old event fatigue, there just wasn’t anything that I thought was appealing about Nick Spencer’s upcoming crossover storyline. If you couldn’t tell by that nerdgasm, I’m over the moon about the news that Marvel Studios will be producing original content for Netflix. As someone who’s been a Netflix user for years, I’m excited. As someone who loves Marvel, I’m excited. So what can make me MORE excited?